Lighter evenings and warmer weather are hopefully on the way so now is the time to think about entering this year’s Innisfree Creative Gardens Competition. You don’t need to be an expert gardener to enter or even need a big garden as it is all about how well you use the space that you have. Early Bird entries that are received by 10 May can receive a small grant to help buy plants and materials. Click here to download an application form or contact us on 020 7625 1818, or by email [email protected] if you would like more information. 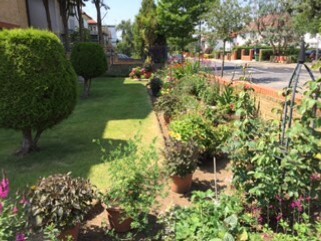 Grants available are £10 for hanging baskets or window boxes, £15 for a balcony or patio space, £20 for an individual garden or wildlife garden, and £25 for a communal garden. To find out more about the terms and conditions of entry, click here.